Green’s was founded by Bradley Green. Bradley grew up as the son of British rock legend Mick Green. His childhood was unpretentious and his father used to explain that “fame doesn’t mean that you’re rich”. Brad dropped out of school when he was 15 and began working in kitchens. By 2009 he was working for the illustrious Il Bottaccio in Mayfair, the venue which hosted Paris Hilton, London Fashion Week Closing Parties and private events for Chanel. In 2012 he and wife Hannah made the decision to sell their home to buy a tiny, derelict pub in North London. The decision was fraught with many complications, the couple had just become parents for one. It took every penny to restore the tiny pub to its former glory and beyond. “We started with a menu offering a choice of six starters, six steaks and six desserts, that was it” remembers Brad. The food, steak and ribs, and service was fantastic. The cocktails were delicious you have to try the old fashioned. Watch out for the portion sizes of the sides, they are massive. Very good couples night out amazing food good vibe and good service. Suberb steaks and excellent service. Also loved the wine. Highly recommend. Dined there Wednesday for the 2 steaks + wine £39 deal. Service was a little slow at the beginning. The red wine was very good but the sirloins were poor, not great quality meat and badly cooked. I sent mine back because the fat wasn’t crisp and it was very grisly and undercooked. It was replaced without any problem but the new steak wasn’t a great improvement. The service was polite and helpful but I’m afraid we won’t be dining there again. It was a very good experience for our first visit. We will definitely return again soon. Also, it is incredibly good value for money. Good food, served by efficient and friendly staff. Will definitely return. First time in new venue and could not fault the food. Steak was cooked to perfection and Cocktails were delicious. Can’t wait to return. Our second trip to Greens since it moved location and I still rate it as one of the finest steak restaurants in the area! Very very unorganised on the service side of things. We had to send Goid back as it was over cooked to make things worse if cane back even worse than the first one!! We had to wait over 30 mins for the food to be served and to be honest very overpriced for very average food. It’s a shame as we were really looking forward to great steaks!! Slow service. Food not great. Will not be returning. Food & service great as usual. One or two confusions with the food orders when they came but nothing a bit of swapping couldn’t fix. Disappointed my favourite cocktail was removed from the menu but our Waitress was happy to make it anyway. Delicious roast beef Sunday lunch, beautifully presented & reasonably priced. Generous portions of beef. Staff were friendly & attentive. My only complaint was that the Yorkshire pudding tasted dry & stale. I will definitely be returning with friends. Pleasant and small restaurant. The food was nice and the portions of a good size. It's quite expensive for what it is and the service could have been better. They had 2 female waitresses and 1 male. The ladies seemed to be busy setting things up (we had an early dinner) but the man was just standing by the bar checking his phone and didn't make much of an effort to serve us. My third visit to Greens and they’ve never disappointed! Food was cooked to perfection, honestly compliments to the chef! And the waiters/waitresses are very tentative. Great experience and will definitely be coming back for another filet steak!! 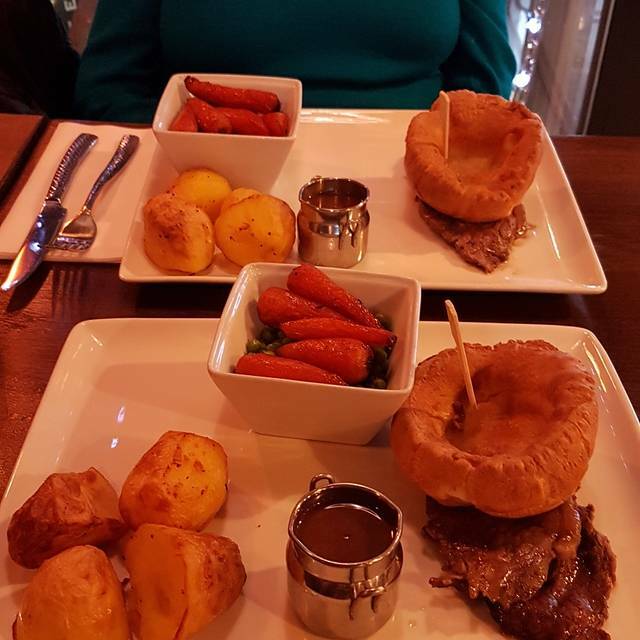 My wife and I went to Greens for the Sunday roast.The Beef was so tough it was not edible, the veg was overcooked, and the Yorkshire pudding was as hard as the plate. It is a real shame, the restaurant is very nicely decorated, the waitress was attentive.The food let the restaurant down. The service here is excellent. I’ve been before on my birthday: and without even mentioning it, the staff noticed I was opening cards etc and brought a surprise dessert with candle at the end of the meal for free. Nothing is too much trouble. Great local steak. Service was very slow. Just left for ages no one asking if we needed anything. Food was warm not hot. We had a lovely catch up with friends we hadn't seen for awhile and Southgate was a convenient location for all of us to meet. I searched restaurants in Southgate and Greens Steakhouse was the most appealing to me. It was easy to book online. We got the time and date we wanted easily. We had not been to this restaurant before and so didn't really know what to expect but we thoroughly enjoyed our night. Lovely decor, great ambience, good service staff and most importantly - great food. Would easily recommend and will revisit in the future. Best non argentine steak ever. Baked garlic wonderful. Tiger prawns were not de-vained. Steak was chewy, vainly and poor tasting. Salad that accompanied the prawns looked like it was out of a packet. Could have cooked it better myself. We have visited this restaurant many times and the standard of food is always consistent. The steaks are delicious and cooked to perfection. We had a party of six and everyone enjoyed the food and service was very friendly and you could see the chefs busily preparing the quality food in the kitchen . The quality of the meat was outstanding and the Chateau Briand and halibut fish dish we had was also fantastic.